You might think that because you weren't paid to do volunteer work that it doesn't count as a real job therefore shouldn't be included on a resume. That's a myth. 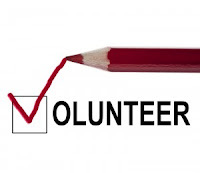 Volunteer opportunities allow you to gain some hands-on experience working in a particular field that may be relevent to your career aspiritions. Anything relevant to a postion that you're applying for should always be included to your resume to show how much you know about fulfilling the required duties, especially volunteer work. The very act of volunteering shows that you're not just in it for the money. Hiring managers will see that you actually enjoy doing your work and have a genuine interest in pursuing it. Volunteering also has its benefits in that you can meet other people who share the same interests and build your network. See how you can make your next career move by doing some good in your community. 1) Pick the right places. Not every charity or organization openly accepts anyone and everyone who says they want to volunteer. 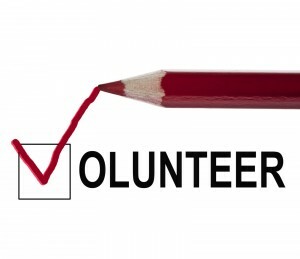 In fact, volunteers will need training and supervising which takes up resources. Many places simply don't have the time, money and space to take on volunteers but there are also many that can which you can easily look into. 2) Consider your time commitment. You might think that you're ready to devote a huge chunk of time to your volunteer work, but realistically, are you? It looks really bad when you make a commitment to an organization that you are not able to ultimately keep. People will see you as unreliable. Part of the benefit of having volunteer work integrated into your resume is to potentially have someone there that you can use as a professional reference. But if they see you as unreliable you can forget it. Know what's doable, start small and then work your way up. 3) Make your motive known. Let the organization know why you're volunteering from the get-go. If they know what it is you're interested in doing there, then they can send those types of volunteer assignments your way. For example, if you want to help out in the business area, tell them what kinds of tasks you want to do and see if they have any available. 4) Remember that you're still a volunteer. Since you're there on your own accord, they really don't have an obligation to fulfill your requests. It's the other way around. Like many volunteer jobs, you should expect them to give you assignments that don't involve using or gaining much skill. They might not be immediately willing to hand over some of the important tasks over to you since it's common for volunteers flake out not long after. Plus, they will more than likely already have people paid to take care of these things and there might not be any extra work to go around. They'll have to try out out first before they can give you any major responsibility. 5) Give everyone a chance. You might want to be taken on by a big company so that it will look better on your resume, however, most of them will have internship programs as opposed to offering volunteer work. And if they do, these tasks will most likely be the menial work you aren't looking for. Smaller places embrace the free help because they don't have the resources to take on a bigger staff. In those circumstances, you're more than likely to get the work you really want to get your hands on which will ultimately help you out in your career in the long run.